George Klima and Anna Stock met on boat from Germany and were married in Shawnee a year later. 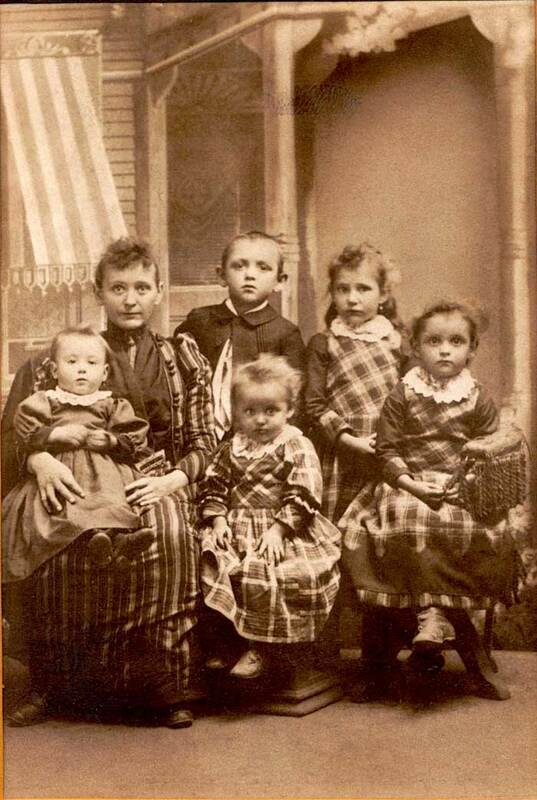 Their fifth child was two months old when George died in 1889. The grandparents, Wendell and Mary Stock helped raise the kids in Shawnee and later in Newark. In 1919 Anna remarried and moved to Wyoming. Her second husband disliked Wyoming and came back to Ohio. Anna homesteaded 320 acres and ran the ranch. She remained there untill her death in 1953. This entry was posted on March 26, 2014 at 6:47 pm	and is filed under Photos. Tagged: People, Shawnee, Social. You can follow any responses to this entry through the RSS 2.0 feed. You can leave a response, or trackback from your own site.